So let's talk about beetroot. I have never liked the stuff. Never cooked it before. To me, it tastes so earthy it's just not a flavour that I enjoy. But -- I have always been kind of curious about baking it into a cake. So the cake is a flourless chocolate cake made with hazelnuts making it a great gluten-free bake and my starting point for this was a recipe from the Australian Women's Weekly's Love To Bake. They adorn it with vanilla yoghurt and candied beetroot (the candied variety seemed one step too far in my beetroot journey!) As it's a solid cake (it doesn't rise to great heights), I decided to bathe mine in chocolate ganache, add some height with chocolate garnishes and give it a light shower of freeze-dried strawberries. The cake itself is very simple to make but requires a little prep and is best made the day before you're planning to serve it. So the day before, the beetroot needs to be cooked for around 45 minutes until it's tender and then liquidised to a beautiful purple puree (see, I can compliment the beetroot for its look!) Then the chocolate and butter are melted together whilst you whisk the eggs, sugar, vanilla, ground hazelnuts and cocoa together in a separate bowl. Add them together with the beetroot puree and pour them into your baking tin. This needs to be covered with foil to be baked for around an hour. Once it's ready, it's then refrigerated overnight - or for at least three hours if you're making it the day it's to be served. I refrigerated mine in its baking tin covered with clingfilm. Also, the night before, I made the chocolate garnishes so they would have time to set out of the fridge. I swirled circles on greaseproof papers and left them to dry. When you're ready to prepare your cake for serving, remove it from the fridge, take it from its tin and release the greaseproof paper. I found my cake had shrunk away from the sides a little. This is all fine and it's going to be a relatively flat cake. I made my chocolate ganache as a 1:1 ratio of chocolate to cream which is a thick ganache - if you want it runnier with smaller drips, then you can use 1:2 chocolate to cream. When the ganache is ready, pour it over the surface of the cake allowing it to drip down the sides. Place your chocolate garnishes upright on the cake, holding them in place until they set a little and stand firm. Then sprinkle your freeze-dried strawberries across the top. I wouldn't say that I'm a beetroot convert. But whereas I can't eat it in a salad, I can definitely eat it disguised in a cake. That's progress. And the boys loved it too. 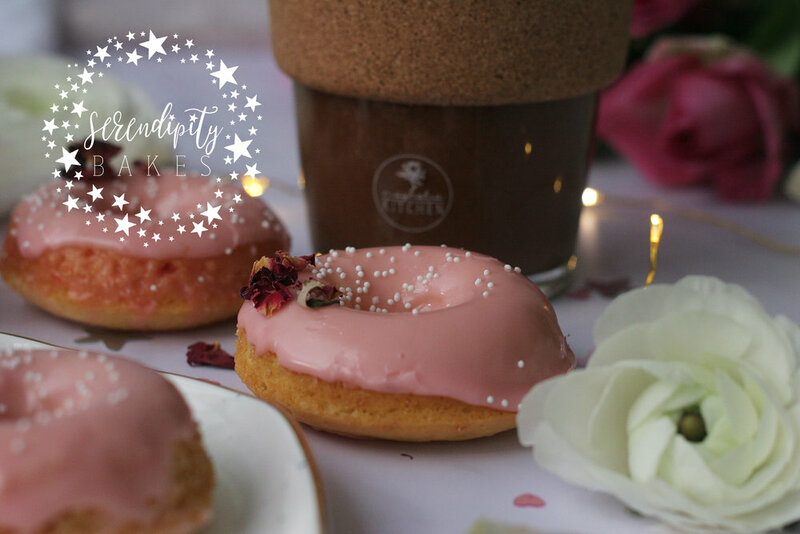 Christmas always comes with lots of baking and I decided to take a break from blogging for the festive period as I always find it much trickier with my terrible twosome in tow! We're three weeks into our school holidays with only a couple of days left to go now. It was great to have some time to reflect and feed the soul - and also to think about some dietary changes to our family. We already have psoriasis in the family which means staple foods like tomatoes and potatoes are struck off our shopping list as well as red meat and shellfish amongst other foods - and we also have to be mindful about how we combine food groups. We don't stick to it rigidly but there are definitely some foods we always have to avoid. A month or so ago, one of my sons was diagnosed as intolerant to dairy (cow and goat milk), egg white and nuts (almonds, pistachios and hazelnuts). The dietician and I laughed that at least he wasn’t gluten intolerant too and I promise you, I was thankful for small mercies! We’re lucky that these foods don’t affect his gut and it’s (just?) eczema that we’re dealing with. Still in testing mode right now and we’re hopeful this is just a phase that will pass, especially since his favourite foods are milk, cheese, eggs and macarons! We’re not going to cut dairy and eggs out completely but obviously reduce and manage them and look for other options. We’ve immediately switched to soya milk and there’s no egg on toast in any form, but we’re allowing a little of these in baked goods. We’re also teaching him about making choices about how he eats. Time will tell. I turned to a book that a friend gave me during my baking odyssey last year - Babycakes. I baked these Raspberry Scones from it which were delicious but I couldn’t easily find ingredients in other recipes and it was relegated to the bookshelf for a later date. Great to have this handy right now! One of the common ingredients they use in their cakes is apple sauce so I decided to replace the sugar that I had in my original recipe with some of this sauce and see if I could make a squidgier cake. And I also wanted to try some of their chocolate frosting. The apple sauce can be bought (sugar free) but was very simple to make. I used two Granny Smith and two Pink Lady apples, peeled and cored and chopped into 1cm pieces. These were mixed with lemon juice, cinnamon and agave nectar (check out the free from section of supermarkets) and then roasted on a tray for 35 minutes. Once they have been roasted and cooled, they need to be blitzed to a smooth puree with hot water and more agave nectar and immediately refrigerated for up to one week in an airtight container. This made double the amount I used in the cupcakes. Very simple and amazingly sweet with the agave nectar. I then made the frosting as it needs to be refrigerated for at least six hours (it can be kept for up to a month in an airtight container). This is also simple to make but does require dry soy milk powder which I couldn’t find locally in any health food stores and ordered from Ebay (I haven’t experimented with leaving this out). All the ingredients bar the coconut oil and lemon juice are blitzed in the food processor and then the oil and lemon juice are added slowly with the motor running. I think my lemon juice might have been too cold as the frosting did start to solidify as I added the final ingredients and became very lumpy and not very attractive! So I microwaved it in short bursts until the lumps had melted and then stirred it until it was smooth. Then covered it with clingfilm and popped it in the fridge. I have spent the last few days working on this frosting as it still turned out lumpier than I expected so the final product looked smooth but when you dipped into it, it looked very granular. I did re-melt it and then refrigerate it again which worked. The recipe also says that if it's too soft when removed from the fridge, you can add liquid coconut oil into it - the oil will start to solidify when it hits the chilled frosting and go stiffer. BUT - given my experience, you would need to take care that the coconut oil doesn't solidify into little lumps again. Finally I decided to remove the sugar from my previous Chocolate Cupcakes and in their place add agave syrup and the roasted apples. You can play around with the sweetness of these two so you can make it perfect for you, but this definitely made a softer crumb and squidgier cupcake. The cupcakes are simple to make - mix the dry ingredients and wet ingredients separately and then add them together, mixing thoroughly. I ran out of rice flour when I was making them so used a mixture of rice flour and gluten-free plain flour. When baked, the cupcakes need to be completely cool before adding the frosting as it could melt the coconut oil within - and once they've been frosted I found they held up well as long as kept cool but they stayed okay in the kitchen and did not need to be refrigerated. The frosting piped very easily but when holding the piping bag, I needed to hold it near the top as the warmth from my hand started to slightly melt the frosting so the first ones piped had better definition than the last ones. These turned out brilliantly. The pro's of this frosting are that you can get a peak and look of traditional buttercream which is the one ambition I've had with making vegan frosting. The cupcakes with the apple sauce made a much lighter cake crumb and I definitely think this addition is worthwhile. However you really need to like the coconut flavour as it's predominant in the frosting (fortunately we do!) Also, I noticed that after some time, the sprinkles started to melt slightly into the frosting so if you do want to use them, I'd suggest sprinkling just before serving. I am absolutely thrilled to start the new year off with such a bake that works for my entire family. Free from baking was definitely not my comfort zone a year ago but a girl's gotta move with the times. Heat the oven to 170 degrees and line 2 cupcake trays with cupcake papers. Melt the coconut oil and put to one side to cool down. Ensure that the soya milk is out of the fridge and at room temperature. In one bowl, mix together the dry ingredients: the rice flour, xanthum gum, baking soda, salt, sugar and cocoa powder and mix well. Then in another bowl, mix together the wet ingredients: the soya milk, coconut oil, vinegar, vanilla, agave syrup and apple sauce. If you put the milk and coconut in first and the milk is not at room temperature, the coconut oil will start to solidify. This can be rescued by warming gently in the microwave with short 15 second bursts until the coconut oil re-melts. Pour the wet ingredients into the dry ingredients and mix by hand with a wooden spoon. Fill each of the 24 cupcake papers with around 1/3 cup of batter and then bake for 18-20 minutes or until a toothpick inserted into the middle comes out clean. Remove the cupcakes from the tin and leave to cool. It's important that they're completely cool before you frost them otherwise the frosting will start to melt. I've been reading a lot about Hemsley & Hemsley at the moment. It seems like they're everywhere! A friend was telling me about their cookbook a week or so ago and I've been debating whether to buy it. I have so many books already and don't want this to be another healthy eating fad where I make a couple of recipes and then the book gathers dust at the back of our cupboard. I mean, bone soup isn't really my kind of thing! So I decided to make one or two things from their blog and see if their recipes are my kind of food and taste. I was having coffee with another friend last week and we were revelling in our love of pumpkin. I'm not a pumpkin-as-a-vegetable fan as I don't like very sweet vegetables, but pop it in a pie, pud or doughnut and I'm in pumpkin heaven! So when I saw Hemsley & Hemsley's recipe for Pumpkin Pie Pudding, I knew this was the first thing I wanted to try. I didn't pick this because it was simple to make, but its very simplicity was a welcome relief in a crazy busy week. This is a one-bowl pudding where everything is mixed together in 5 mins and then popped in the oven and forgotten about for 35 mins. Super easy! The original recipe is available through the link which offers some substition options - for example, coconut oil in place of butter, coconut flour in place of almonds and a breakdown of their spice mix (I use a spice mix from Canada but Allspice as a shortcut would work too). And they roast their pumpkin and then puree it, but I like to use Libby's Pumpkin Puree in a tin. I'm not sure why I was surprised that I loved this, given how much I like pumpkin desserts, but the texture was light and airy and almost souffle-like. The hint of spice gives it a delicious flavour that makes it very much like an all-American pumpkin pie filling. 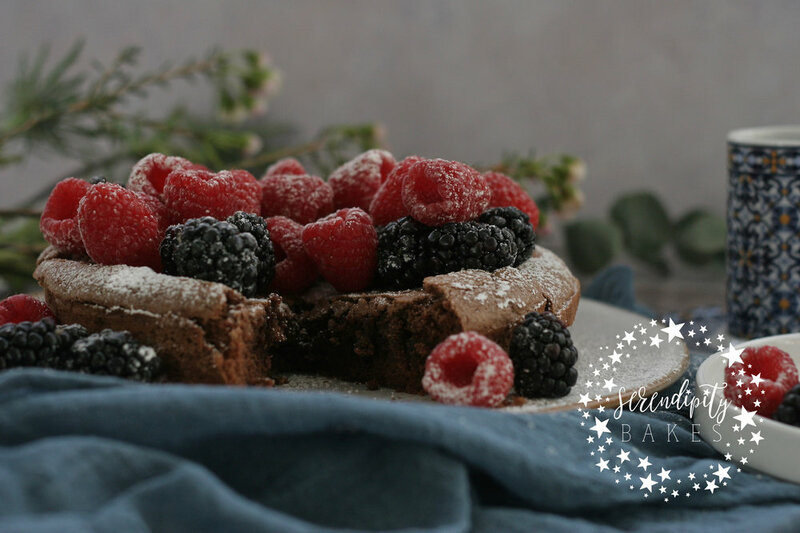 I also chose the ingredients that would make this gluten and dairy free so it's a perfect pud if you have someone that has these food allergies. Even better, the girls tell us that pumpkin flesh is loaded with vitamin A for an immune system boost too so you can feel extra virtuous eating it! I thought I'd squeeze in a small end of the week blog post about these gorgeous little Sesame Pudding Spheres that I've been playing with this weekend. I found them a while ago on Dine X Design which is a beautiful website focusing on gorgeous recipes and design features, all photographed beautifully. Dine X Design feature a couple of variations on these with Green Matcha Tea Puddings and Frozen Pudding Treats too. So of the three variations, I decided to make the Sesame Pudding Spheres which I then sprinkled with Matcha Tea and additional sesame seeds. The original recipe calls for black sesame paste and I couldn't get this locally, so used the greenish tahini paste from the local supermarket. I think the spheres look more striking in black against the green of the Matcha tea so it would be worth searching out the black sesame paste, especially if you're planning to make this for a dinner party. I really love the flavour of these spheres, mainly because they remind me of a lovely Coconut Sago pud we enjoyed last New Year's Eve at Mekong Baby in Auckland! This was a Thai fusion restaurant and I think these pudding spheres would work best at the end of this kind of meal. The coconut flavour really shines through and from the fridge, they're very light and refreshing, with the additional sesame seeds adding a touch more texture. And better still, they're completely dairy and gluten free so perfect if you're looking for a Free From dessert! They do tend to melt once out of the fridge so it's worth keeping them refrigerated until you plan to eat them! Hello, everyone! Huge apologies for my radio silence over the last week, but we went away for Easter and ended up staying away a little longer than planned. The week was spent out and about enjoying the sunshine and sea air with the boys and not so much time couched at home in the kitchen. But it didn't stop me planning and having arrived back late this afternoon, I planted two feet firmly in the kitchen to whip up my latest creation. If you're not a fan of Instagram or Facebook, here are a few of my Easter creations from the last week or so. We have indulged in way too much chocolate and cake!! So whilst we were away, I succumbed to buying Deliciously Ella in the local supermarket. It sat there looking all shiny on the shelf and having been inundated with Ella's Instagram photos of her book launch and recipes, I fell hook, line and sinker! I think it's always interesting to understand the path that people take and I found Ella's story very uplifting and inspiring - and although left with little choice, I admire her determination to rise from the brink of hospitalisation and overnight transform her eating into a plant-based diet. The first recipe I resolved to try was the Avocado Chocolate Mousse. The same day as I bought Ella's book, an e-mail pinged into my inbox from Jamie Oliver with an Eat Well This Easter message - and amongst his suggested eats were Vegan Chocolate Pots. Hmmm...which chocolate delight to try first. Or maybe both at the same time? So I decided to have a little chocolate mousse-off with these two recipes. For sure, the easier of the two options was Jamie Oliver's Vegan Chocolate Pots. The main ingredients were dairy-free dark chocolate and tofu mixed with maple syrup and vanilla paste (the original recipe included zest of a lime - the supermarket had run out! - and dark rum - but I'm not fond of alcohol in puds). Ella's recipe was a little more complicated and required a few more ingredients and a bit more effort. First of all, I had to make Almond Butter which involved roasting almonds for 10 mins and then blitzing them in the food processor for fifteen minutes to create a creamy butter. Once I'd made this ingredient, I was then able to move on to the mousse itself which involved blitzing an avocado, bananas, Medjool dates, almond butter, cacao powder and maple syrup in the food processor. Easy as. And so, the verdict? Well, I first taste tested them on the boys. Honestly, they weren't keen. I'd hoped blitzing lots of good food with chocolate flavour might persuade them that these were yummy chocolate puds. Then I tried it on hubby. I think we both agreed that the Jamie Oliver Chocolate Pots were the clear winner and also could pass as a "regular" chocolate mousse at a dinner party. Although for me there was still a clear taste of tofu which kind of detracted from it a little. Perhaps the rum would have softened this flavour and if you are a fan of alcohol fueled puds, I would definitely recommend giving this a go. What I like about Ella's pud is that I feel seriously healthy eating it. I mean, avocadoes, bananas and dates plus its other goodies. Sadly the taste wasn't quite as enjoyable and I think this might have been down to one of two things: my avocado and bananas weren't overly ripe (and she does call for very ripe bananas) and I think the ripeness will definitely enhance this next time (note, I said next time so it can't have been that bad! ); and then Jamie's recipe called for melted dark chocolate and I think this really added to the richness over the cacao. But I'm comparing this to what I call a regular chocolate mousse (dairy-laiden and eggy) and what I have learned of late, is that you can't substitute and expect things to taste the same (we have a psoriasis sufferer in the family and I tried to make a beetroot spag bol - beetroot remains the work of the devil to me to this day - I couldn't make it through more than more mouthful!) There are many reasons for choosing different kinds of diets, but in my humble opinion it means learning to love different flavours and foods and not just trying to recreate past loves. I would definitely recommend giving these two a go! Although it's technically springtime and we've seen some signs of sunshine in recent days, today it's grey and windy here in south-west London and we need to bring a little bit of sunshine into our home! A couple of friends recommended I try Nigella's Lemon Polenta Cake - although to date on the blog I've been keen to work through different bakers (and have already featured a Nigella recipe) but am making an exception here as both waxed lyrical about this one. And then yesterday Nigella posted a Regram of this very same cake but suggesting that the butter could be replaced with olive oil to make a completely gluten-free and dairy-free which sealed the fate of this bake and here it is. It's a very light cake and the real magic is the infusion of lemon syrup which soaks into the cake post-baking. The original recipe I looked at contained 200g butter, but as I mentioned, Nigella yesterday posted on Instagram suggesting that this could be replaced with 150ml light olive oil so I thought I'd make this switch. Although Nigella suggests baking for 40 mins, I checked mine after 35 mins and it was very much done by then so I'd keep an eye on it from 30 mins onwards. I also read a few comments from people that their cake tended to drop in the middle when it comes out of the oven and this is to be expected due to the lack of gluten. However I found that mine didn't drop and kept good form - until I decided that I couldn't wait for it to be completely cool before removing it from the tin and then I put it on a non-flat plate and it did drop a little! But I can assure you it didn't affect the taste :) I love the yellow sun-shine colour of the inside and it's super-moist from all of the lemon syrup, but remains lovely and light, whilst the polenta adds a slight grittiness which gives it some added texture. This would be a great cake for afternoon tea or lunch with friends. Leave to cool before taking it out of its tin. And enjoy! I had the best start to the day today. Not only was the sun shining on the school run this morning, promising the start of spring (am I tempting fate??) but when I arrived at school I was given the fantastic baking book Babycakes by a lovely friend. This book is from the NYC bakery of the same name and has achieved acclaim through being "vegan, gluten-free and (mostly) sugar-free" although not necessarily all at the same time - and has lots of celebrity endorsements for its vegan and healthier favourites. Before I started this blog, I hadn't tried any Free From recipes before (gluten, dairy or vegan) or at least, I hadn't wittingly tried them. But I have friends and friends' children who have some dietary restrictions and I'm enjoying trying new ways of baking as well as tasting them for myself as I'd always assumed that Free From meant that there was something lacking. Oh, how wrong I was! Armed with my new book, I wanted to try out a new recipe immediately although some of them are going to require a little more product sourcing (I am putting Agave-Sweetened Brownie Gems on my baking list for the next few weeks when I've gathered the ingredients for it!) and so I opted for a simpler recipe whose ingredients I already had with the exception of the spelt flour, agave nectar and a punnet of raspberries - Raspberry Scones. Now these aren't gluten-free as they have spelt flour but they are vegan and therefore dairy-free. This is a very simple one-bowl recipe but the flavours are fantastic in them. There's a faint taste of coconut, then a sweetness from the Agave Nectar and a freshness from the raspberries which all work together incredibly well. My only criticism is that the batter was quite wet so even though I used an ice-cream scoop for portion control, they tended to spread into random (messier) shapes on the baking tray. However not everything fits into a neat circle! I did think that making them into muffins might make them tidier next time. And although the recipe calls them "scones", the texture of mine are a mix of cake and bread. But it's great to know that they're a healthier alternative to the usual sweet treats the boys would want for pudding and one of the boys wolfed one down super-fast declaring it to be "very yummy", praise in its highest form from my younger son and it even featured in his daily news report to daddy at bedtime! Pre-heat the over to 175 degrees and line a baking tray with parchment paper. Add the oil, agave nectar and vanilla and stir together until a thick, dry batter has come together. Pour the hot water into the batter and combine. Using a rubber spatula, mix through the raspberries until they're just marbled through the mixture. Using a 1/3 cup ice-cream scoop, drop mounds of batter onto the baking tray leaving them 1 inch apart as they will spread. Lightly brush the top with coconut oil. Bake the scones for 14 minutes rotating them 180 degrees after 7 minutes. The finished scones should be golden brown and slightly firm. Remove them from the oven and brush the top with a little agave nectar. After 10 minutes, gently slide a spatula under each scone to remove them and tranfer them to a cooling rack to cool completely.